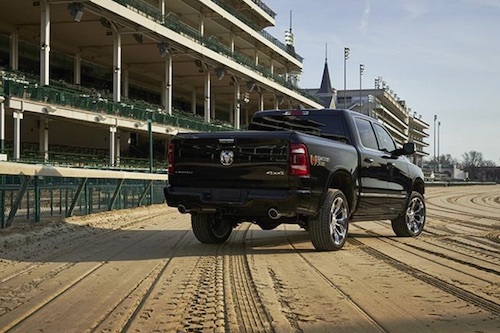 For nine years Ram has been the official truck of Churchill Downs and the Kentucky Derby. This year Ram will launch the first truck to commemorate the event with 2019 Ram 1500 Kentucky Derby Limited Edition model. Only 2000 of these special edition Ram trucks will be available. New Kentucky Derby Ram trucks are based on the top Limited trim and will feature a distinctive Kentucky Derby “Run for the Roses” fender graphics. These models will include Ram’s Uconnect 12-inch touchscreen radio with Sirius XM 360L with navigation, four-corner auto-leveling air suspension, power-retracting running boards, trailer hitch with sway control and blind spot monitor with automatic trailer detection. Specialty interior features of new Kentucky Derby Ram models include premium full-leather front and rear reclining seats with heating and cooling, genuine wood and metal trim. This new truck will be offered in a choice of six exterior colors including an all-new Ivory White Tri Coat finish. It will be available in 4×2 or 4×4 Crew Cab configurations, with a 5 ft.-7 in. bed length. New 2019 Ram 1500 Kentucky Derby editions are on sale now. The Ed Voyles Ram Truck Dealership near Atlanta, GA has a wide selection of new Ram trucks to choose from. 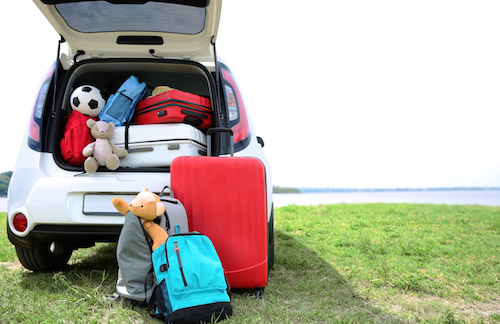 We invite you to explore our inventory and stop by for a test drive soon.